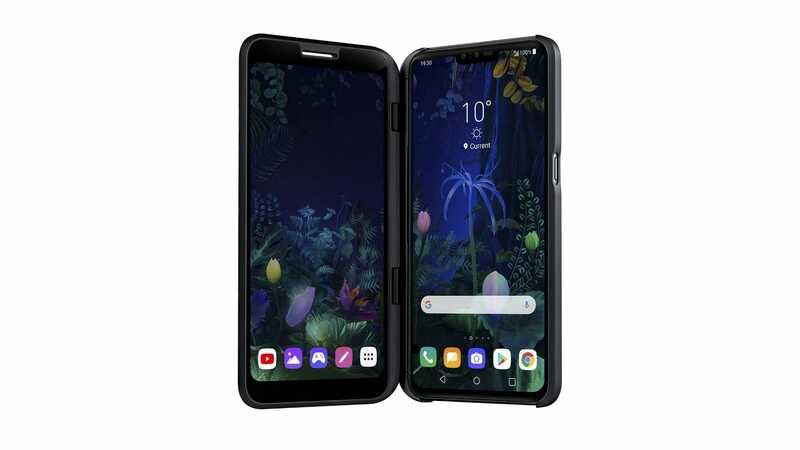 LG is not one to be outdone by its South Korean rival, so following the launch of the Galaxy S10 5G, LG naturally had to follow suit with its own 5G phone announcement in the form of the new V50 ThinQ 5G. From the outside, the V50 5G features essentially the same chassis as last year’s V40, but with a number of new components including a Qualcomm Snapdragon 855 processor wand X50 5G modem, support for Wi-Fi 6, and a larger 4,000 mAh battery. Then LG went and slapped a neat light up 5G logo on the back of the phone that flashes yellow (signifying LG’s partnership with US network Sprint for 5G service) anytime you touch the screen. However, unlike the new LG G8, the V50 5G won’t have its sibling’s depth-sensing Z cam or vibrating Crystal OLED display, instead opting for a more traditional pair of stereo speakers, a normal 6.4-inch OLED display, and dual cameras in back (featuring one 12-MP main cam, and one 16-MP wide-angle cam). One benefit of this change is that with the V50 5G also offering dual selfie cams in front, the phone will be able to use the G8's video bokeh mode regardless of which side of the phone use you to film. 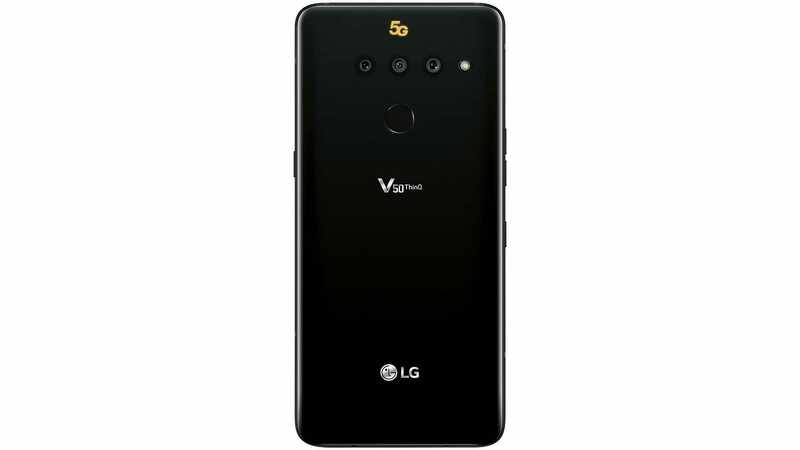 And to deal with the increased heat generated by 5G modems, LG increased the size of the V50 5G’s vapour chamber cooling system by 40-per cent. But the strangest thing about the V50 5G may be its optional Dual Screen accessory, which tacks on a second 6.2-inch OLED screen to the side of the V50. LG says the screen can be used to multitask and features a UI that makes it easy to move apps from one display to another quickly between screens quickly, and it can also be used as a dedicated controller for gaming, with touch controls on the lower display. The Dual Screen accessory effectively turns the V50 into a 5G sandwich, which I guess is one way to hit back against the Samsung Galaxy Fold when you don’t have a bendy handset of your own to show off. Yet while no official pricing or availability info for the V50 5G has been released quite yet, EE says it will be offering the phone sometime later this year. LG has promised it will arrive in the US sometime in the first half of 2019, if that's any help.